Just made these at the request of my mom and they leave a lot to be desired. Sorry, but the pictures are quite misleading as to how these “cupcakes” are going to turn out. The recipe doesn’t call for enough flour to actually make a true cupcake (cake-like, firm, and holds shape); the result is more like mini pumpkin pie/souffles. They’re not stable enough to hold their shape which is why I’ve noticed A LOT of comments mentioning they deflated. 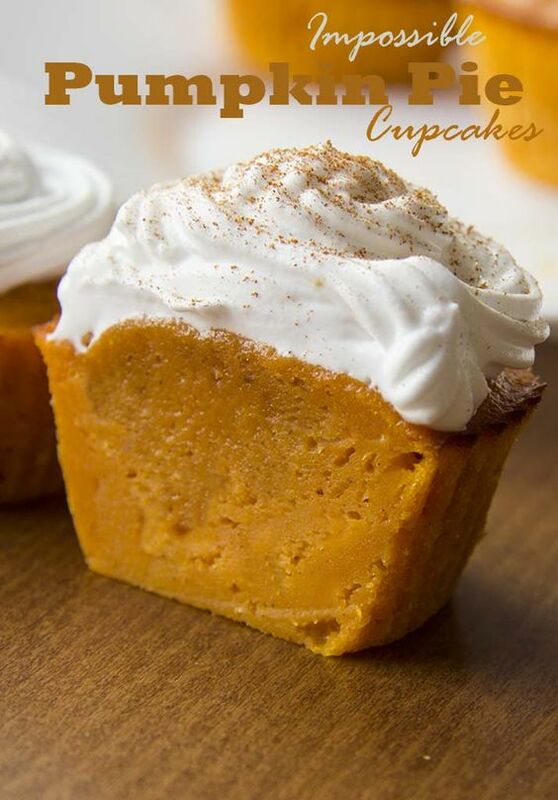 If anything either increase the amount of flour and decrease the eggs and milk to make a true pumpkin cupcake, to give stability and more cake-like texture. These would do very well as a mini-pumpkin pie in a pie shell/crust, but as a cupcake…a little more work fine tuning the recipe is needed. It needs a better balance of wet to dry ingredients. *Note: followed the recipe precisely.